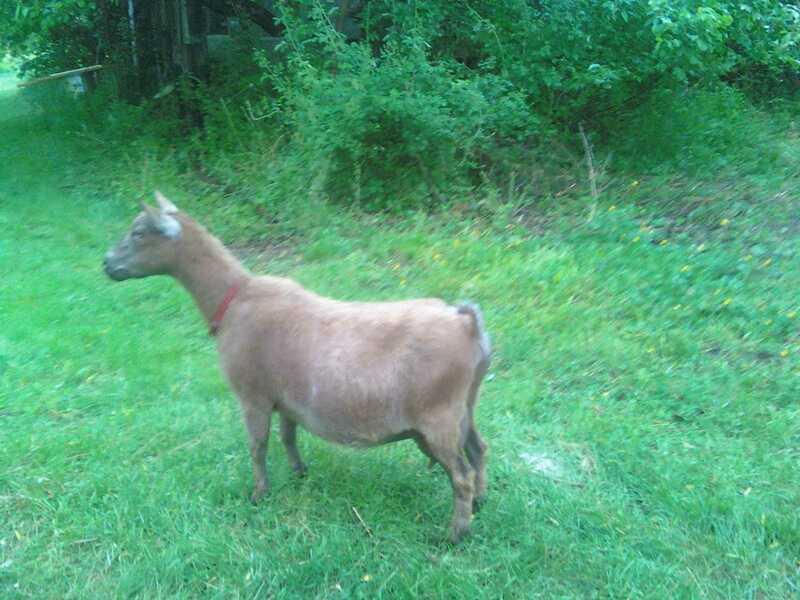 Organic Raw Goat Milk Coming Soon! We have some lovely Nigerian dwarf babies available at this time. Our babies are healthy and friendly. Babies are for show or pet. Please call or email for more information. 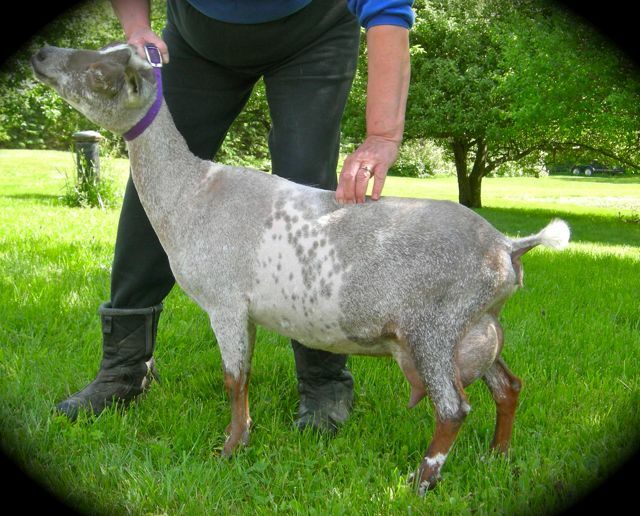 We have registered Nigerian Dwarf Goats, Saanens, and La Mancha's for sale. Show quality. Herd is tested CAE, CL, T/B Brucillosis, and Johnes free. The proteins in goats milk are different from cows milk as they are smaller, making them easier to digest. Goats milk does not have the high levels of the protein casein that cows milk contains which many folks have allergies too. Goat milk also contains less lactose than cows milk and may be tolerated by those with lactose intolerance. Goats milk is also naturally homogenized. The cream stays suspended in the milk. Raw milk contains many healthy and natural bacteria that are destroyed during the pasteurization process that commercial milk undergoes. There are many health reasons for wanting to drink raw goats milk, but my family drinks it because goats milk is sweet and creamy! YES! The milk is prepared in a clean sanitary fashion. First we start with our equipment: all pails, jars, and filters are sterilized. 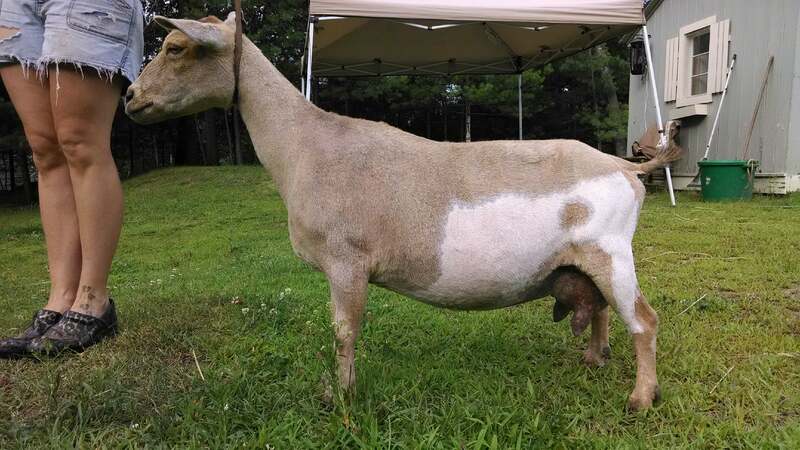 Next the goat is placed on the milk stand and her udder is completely washed with an all natural antimicrobial solution. Next the first two streams of milk are taken out and discarded. After the goat is milked, the milk is run through a micro filter and placed in an ice bath in the refrigerator. The ice bath will drop the temperature of the milk quickly. The milk is then ready for consumption. Is the milk organic and what do the goats eat? 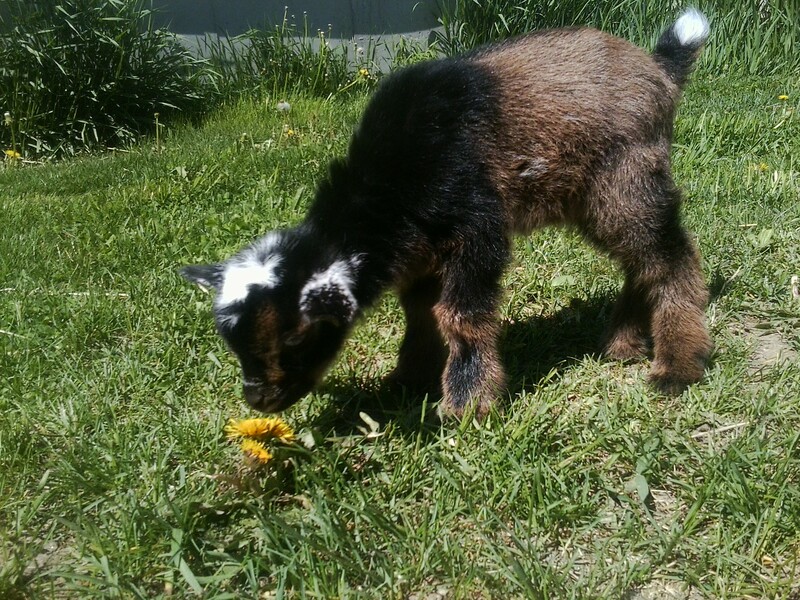 My goats are on a 100 percent organic diet consisting of Green Mountain Dairy pellets, organic alfalfa, organic oats, black oil sunflower seeds, and organic sea kelp. I buy my hay from two local farmers who treat their fields naturally. Although the milk is not “certified organic” the milk is as organic as possible. 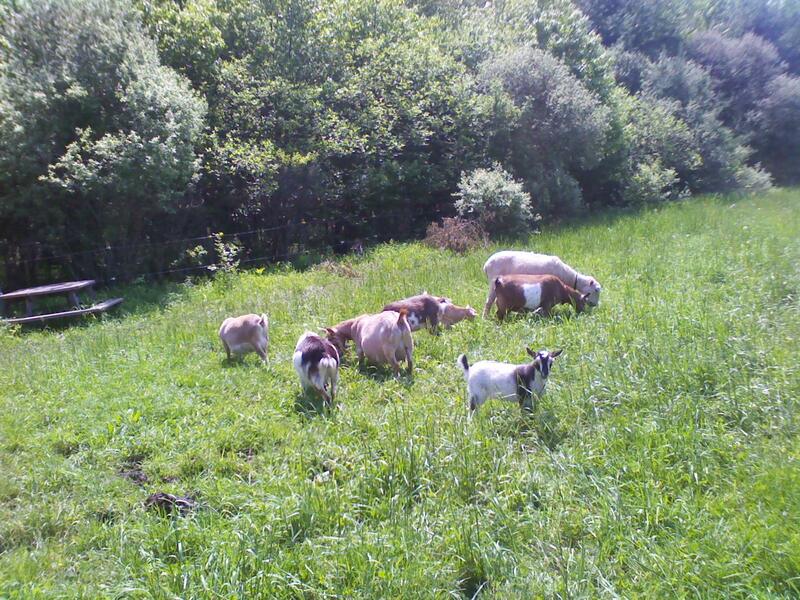 The goats also roam and browse for forage during the day on our seven acres. We also raise organic free range chickens, turkeys, rabbits, lambs and goats.